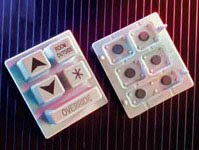 Membrane switches is momentary contact switches that are widely used in place of mechanical switch assemblies. It can also save a lot of PCB (printed circuit board) space and are extremely easy to operate and. Membrane switches usually produced at membrane switch manufacturer such as Xymox. Some features of membrane switches are such as momentary action, direct contact, low application of voltage, membrane layer, and static layer. These features have each functions, Momentary action when released the poles separate as the flexing membrane returns to the former position. Direct contact, it means the poles have to be in direct contact with each other. Low application of voltage, it means membrane switch can only use low voltage source and can’t use a high voltage source. Membrane layer is a thin flexible layer is required that bends during switch operations and is used to short both poles together. Static layer, this layer does not bend during switch operation and is used to carry one or both poles or short the switches together. Nowadays, membrane switches are used extensively in membrane keypads. 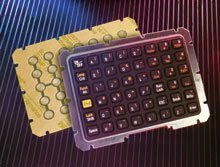 Keypads usually have separate parts but membrane keypads have symbols and letters embossed on a flexible surface. It is also referred to as a pressure pad. The reason for their popularity is because they come at a very reasonable price. Another advantage of these keypads is that they are more resistant to dust and liquids as compared to other keypads. This product has found various applications in calculators, microwave ovens, buildings that have restricted access, and even in remote controls. The LED (light emitting diode) technology helps in effectively backlighting any kind of text and graphics. Polyester dome switches of high temperature capacity can also be designed using membrane switch technology. Raw material such as silicon rubber is usually used for making keypads, independent Membrane Switch, and many more in mobile phone industries. In making the keypad, to result in the best design and durability, each keypad should be undergone several processes. From the design, it has to be done by the expert to make sure that the size, function, and color are match with the need. The design is then made into model and used as the blueprint for the manufacturing processes. After the Rubber Keypads are molded, it will undergo several coating processes to make sure that the product has the best quality and durability. Another thing from Xymox membrane switches manufacturer are, they also produce metal domes switches. The metal dome switches or polyester formed domes. The metal dome switches are formed pieces of stainless steel that, when compressed, give the user a crisp, positive tactile feedback. These metal types of dome switches are very common, are usually reliable to over 5 million cycles, and can be plated in either nickel, silver or gold. For either metal or polydomes, when a key is pressed, it collapses the dome, which connects the two circuit traces and completes the connection to enter the character. If you search for membrane switch manufacturer, Xymox can provides you with a top quality product at an extremely reasonable price. They have been a leader in membrane switch since 1979. They offer the most extensive line of stock membrane switches in the industry along with a complete array of custom membrane switches.